I had a chicken macaroni salad once as a take home from a Christmas party. It was made by one of the older aunties. It was the plainest chicken pasta salad I had ever had, but I loved it and couldn’t put it down. It felt like eating a bowl of good old fried rice, except less salty; and pasta of course, instead of rice. I love pasta salads of any kind. 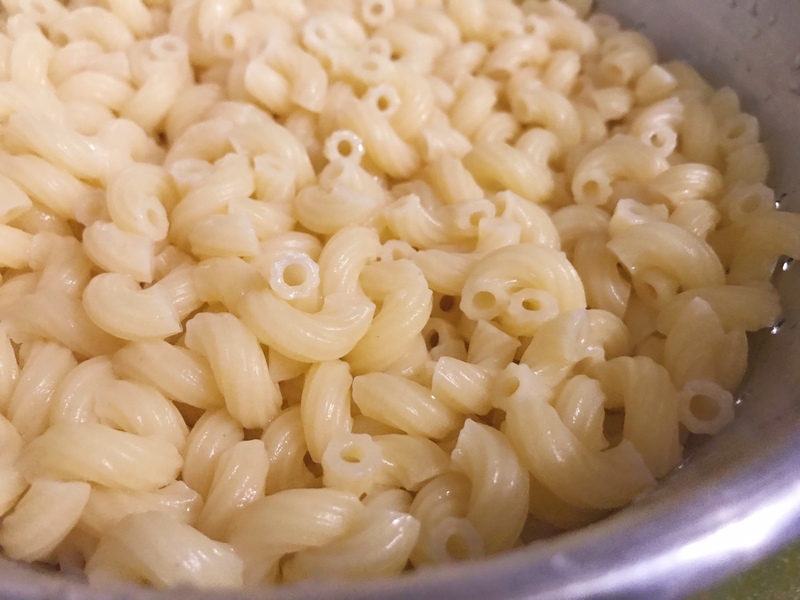 Not sure if it’s the simplicity in most or the child like feeling you get when you eat it–the variety of shapes it comes in, colors, flavors, ingredients it’s made with. What an exciting base to create a cohesive, no fuss, happy go lucky kind of meal! SO MANY P O S S I B I L I T I E S! 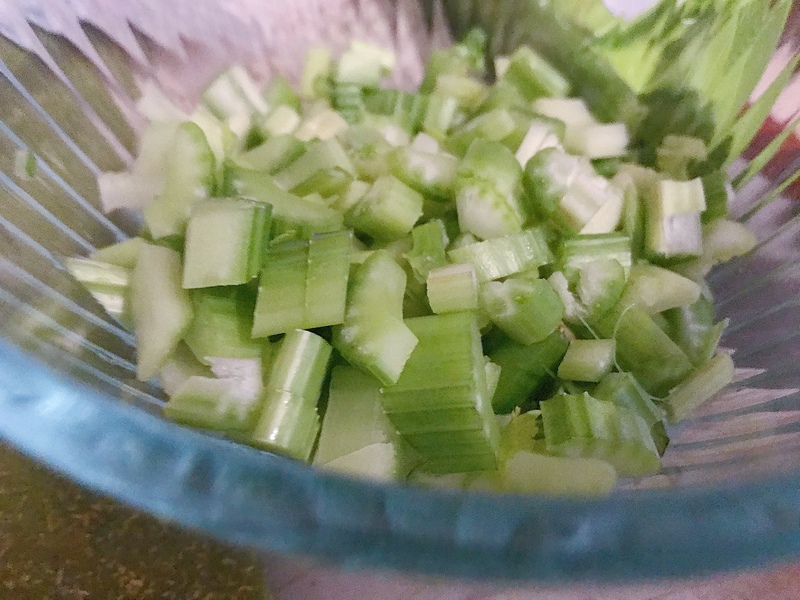 Well, this recipe is as plain Jane as it can be! It’s humble and classic. It’s a great light meal for Spring! 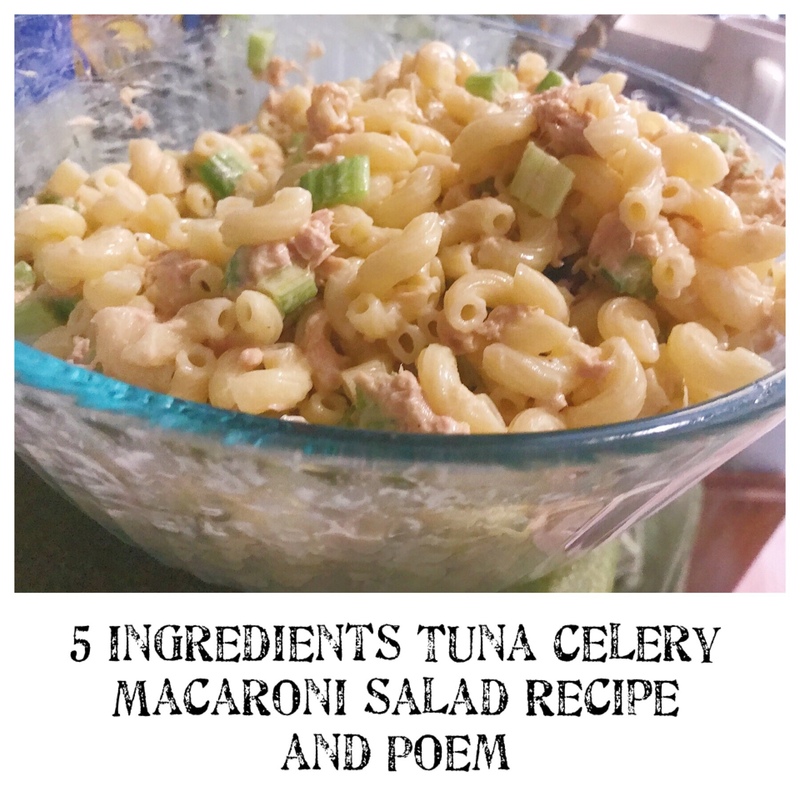 The celery is as important a star to this recipe, as the tuna. 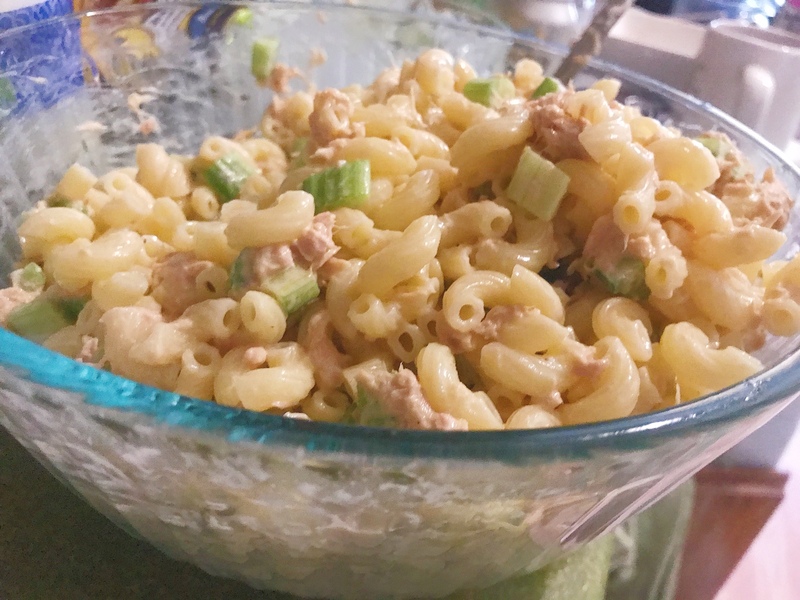 The crunch and refreshing juicy bite of the celery ; the slightly chewy macaroni cooked at exactly 7 minutes and rinsed; the sweet and buttery feel of mayo (I used a vegan Mayo because Olivia’s allergic); the slightly salt flavor of the tuna is all the salt you really need. Read the label of the can… you’ll be shocked to see how much sodium is in a can of tuna. Check the label for slices of bread or a bagel. The sodium our society has trained us to be accustomed to consume, is unbelievable. I had only started reading labels when I had the high blood pressure scare and was told to cut sodium out of my diet completely at that time. 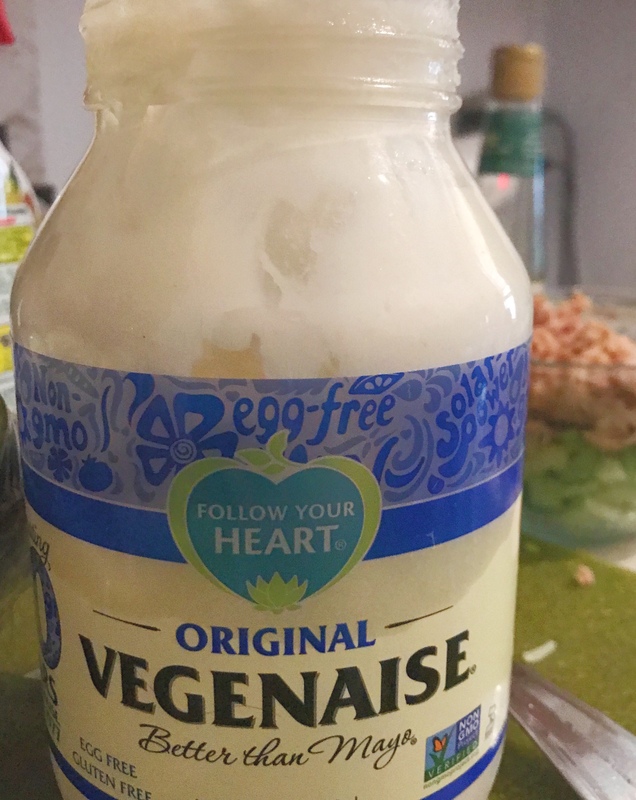 I had to find clever ways to reduce salt in my diet. Any fun songs you’ve invented to get the fun going on in the kitchen either to yourself (guilty!) or with your kids? I would love to see someone create a video dance of this poem, actually.